Kids & Arts upcoming workshops at Stanford LPCH. Subscribe to our newsletter for the latest updates on times and locations. 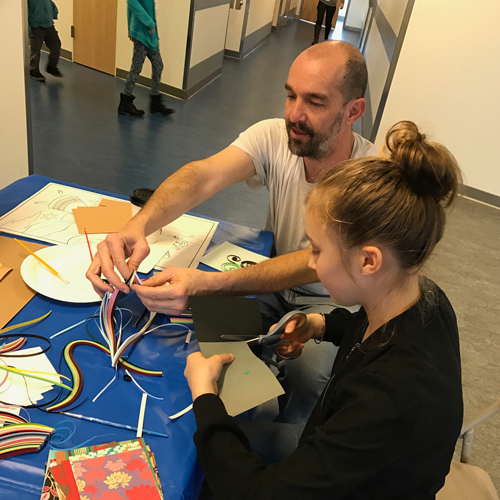 Kids & Art holds free art workshops at Stanford Lucile Packard Children's Hospital for pediatric cancer families once a week in the LPCH Bass Center, 725 Welch Rd, Palo Alto, CA 94304. These workshops provide a moment of peace, joy or calm for participants in an often stressful environment through the creation of art. Workshops are held Tuesdays and Thursdays at 10:30am. Stanford Children's Hospital, Palo Alto Volunteer Signups (18+ Years) Weekly art workshop in the Bass center waiting room. Please check the sign-up genius link for more details.